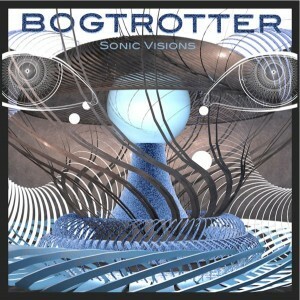 Sonic Visions is the first official release from Bogtrotter, a producer from the American midwest, showcasing his unique psychedelic style and taking you on a psychonautical journey through space and time. Influenced by dubstep, psytrance, and various other musical sources—and inspired by a series of mind-expanding experiences—Bogtrotter demonstrates the diverse complexities in the world of sound, expanding beyond typical genre limitations. Be ready for the intensely surreal and psychedelic musical experience that awaits. Mastered by Curtis Czock at BTR Studio with artwork by Adrienne Bernadette. MP3 Download | FLAC Download | WAV Download · Download count: 7,574. Perfukt is not in 6/4. its 4/4 but subdivided 3/8 3/8 2/8 which is a common way to suggest a 3 feel without actually being in a multiple of three time signature. The next track is in triplets, coincidentally. Good stuff though. I dig the tunes. Can you do this live? Do you play around MPLS ever? DEFINITELY my favorite recent release here! Thanks so much for your work!